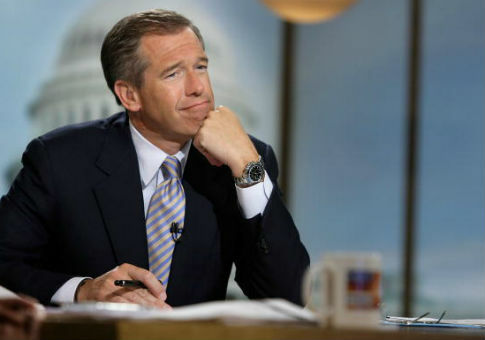 The new Fox News program "Fox News @ Night" passed MSNBC host Brian Williams' "The 11th Hour" in the 11 P.M. ET ratings for the first time in February. In a time slot that once served as a re-run for "The O'Reilly Factor" and later "Tucker Carlson Tonight," veteran Fox News host Shannon Bream was tapped to host the new show mixing hard news and analysis starting Oct. 30. Williams has hosted "The 11th Hour," which runs for the hour and serves as a recap of the day's news, since 2016. He was anchor of "NBC Nightly News" for 10 years before being suspended for six months in 2015 and demoted from the position for a series of fabrications. He returned to MSNBC, NBC's left-leaning cable affiliate, as a breaking news anchor later that year. This entry was posted in Politics and tagged Brian Williams, Fox News, MSNBC. Bookmark the permalink.